Love the Environment? You’ll Love the Toyota Prius! The 2011 Toyota Prius is a reliable, efficient, and practical vehicle that is perfect for environmentally conscious drivers. 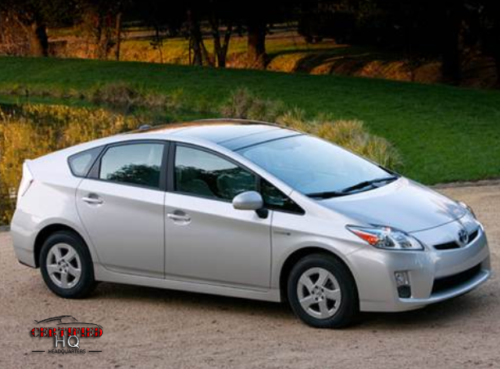 The 2011 Prius also appeals to drivers looking for an affordable and eye-catching vehicle. The Toyota Prius is in its third generation for 2011. This third generation offers a non-traditional exterior design that combines a sedan and a hatchback. The quirky and creative design is perfect for drivers seeking something different. The 2011 Toyota Prius also provides customers with affordable features. Consider seeking a Prius with the Solar Roof Package, which includes a power moonroof that ventilates the vehicle to maintain a consistent temperature. There is also a key fob button that remotely starts air conditioning in the 2011 Prius when the battery is fully charged. The cabin of the 2011 Toyota Prius features two-tone coloring that is simplistic and stylish. For drivers, the Touch Tracer Display on the steering wheel displays fuel usage, touch-sensitive buttons, and interior controls that are easy and convenient to use. Plus, the infotainment system allows drivers and passengers alike to stream music, access navigation, check out the weather, and more. This hybrid vehicle is powered by a 1.8-liter, inline four-cylinder, 60-kilowatt permanent magnetic synchronous electric motor Atkinson cycle engine. This engine is paired with an electronically-controlled continuously variable transmission and earns 98 horsepower and 105 pound-feet of torque. If you’re interested in gas mileage, the 2011 Prius earned an EPA-estimated 51 miles per gallon (mpg) in the city and 48 mpg on the highway. Don’t miss your chance to drive off the lot in this appealing, affordable, and stylish hybrid vehicle. The 2011 Toyota Prius can be yours when you visit Certified Headquarters. Our new and pre-owned vehicle dealership is home to this car and many others that you can test drive today! Just visit Certified Headquarters at 873 Middle Country Road in St James.